_William Alexander “Will’ Clark was born July 25, 1884 in Parker County, Texas. 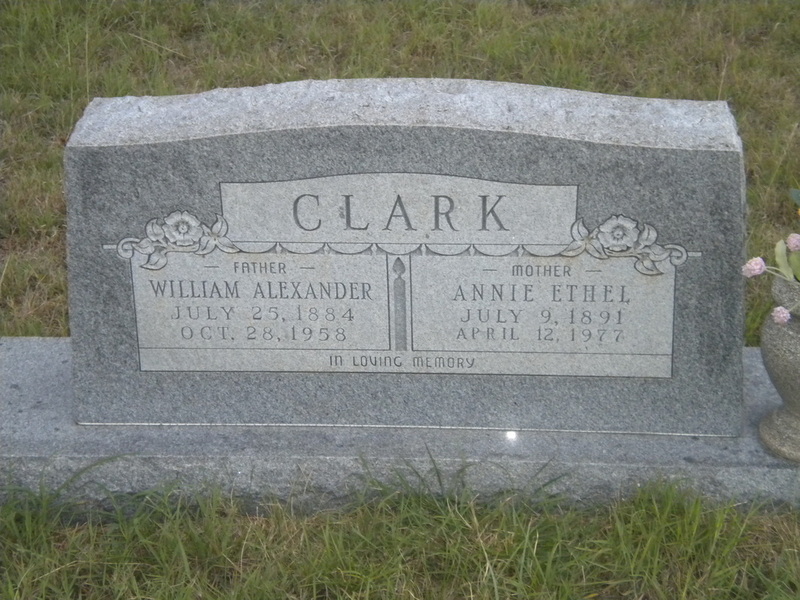 He was the oldest child of James Edward “Jim” Clark and Eliza Anna Dobbs. Jim and Anna also had a daughter, Mary Annie born in 1886. Will married Annie Ethel Mullinax in 1910 and they had 9 children, three of them died in infancy. Will inherited farmland from his father Jim, about 9 miles north of Weatherford. This is where he and Annie made a home with their 6 children. Will was a kind and gentle man. He would sit patiently while his grandchildren brushed and played with his hair. 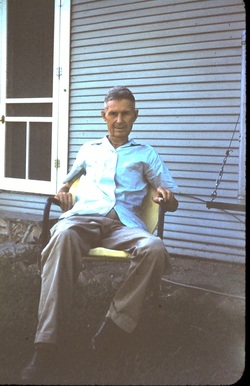 One of his grandchildren remembers him always sitting in the yard whittling on a piece of wood. She said he wasn’t ever making anything in particular. He was just whittling away at a stick.